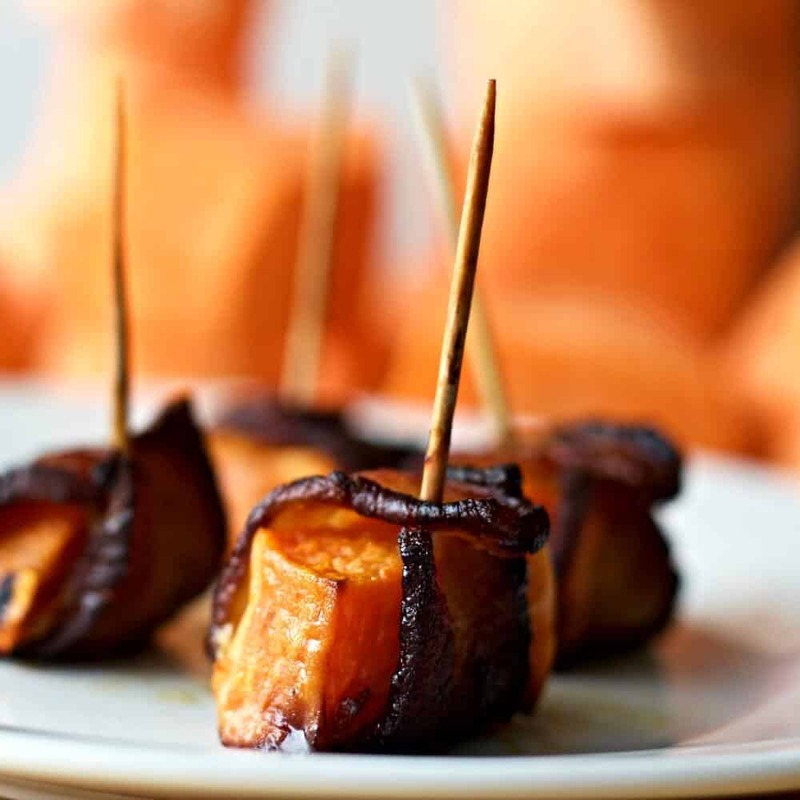 Bacon Wrapped Sweet Potatoes are a Scrumptious Low-Sodium, Low-sugar, Gluten-free, Dairy-Free easy appetizer. Make up a tray for your next party. Watch these healthy appetizers disappear in a hurry. 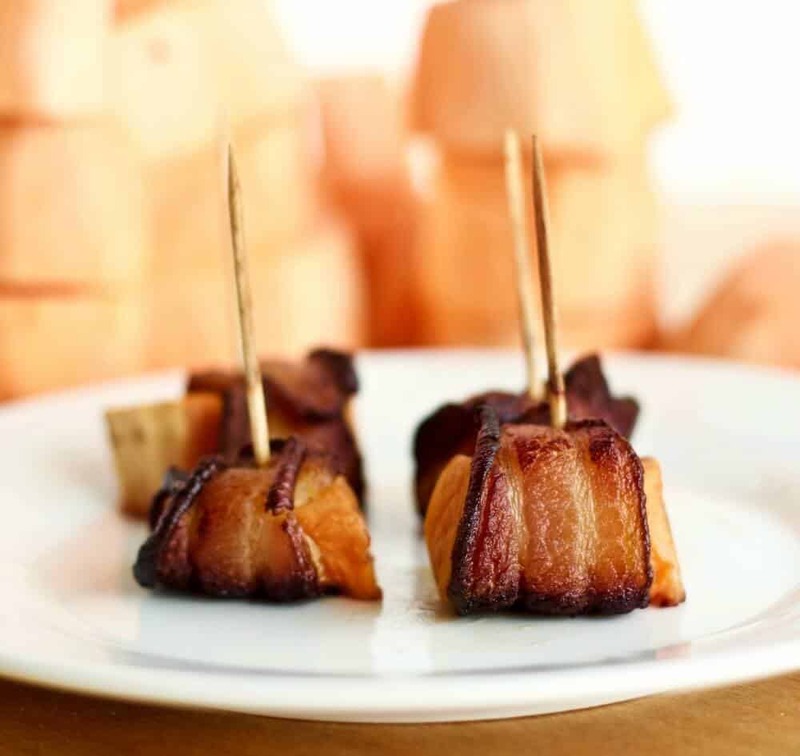 It’s always fun to find new ways to make bacon wrapped party appetizers. I had some sweet potatoes and bacon I needed to use up. 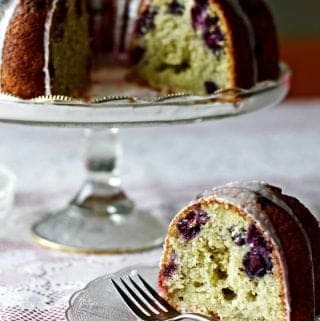 After a quick tour of the internet I found this recipe. It could NOT be simpler. Only TWO ingredients! Well, three if you use the cayenne powder. Which I did not. Sweet potatoes and bacon are great flavor friends. They taste delicious together, and sweet potatoes are actually healthier if accompanied by fat in a recipe! Use a non processed natural bacon if you can find it. That makes the bacon fat tasty and pretty healthy too. NICE! 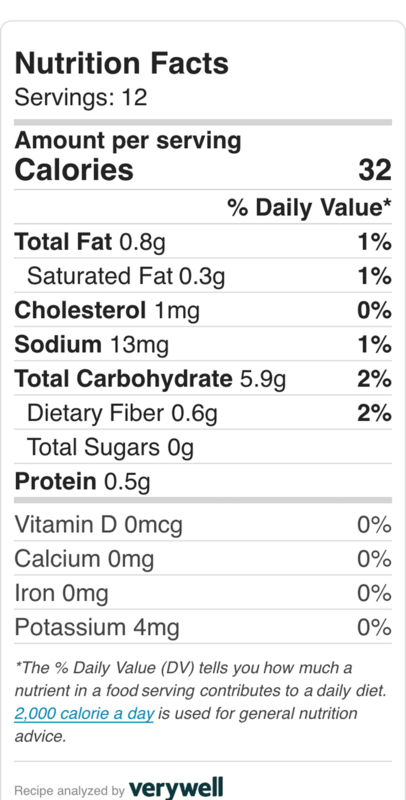 Go to the link on the sweet potatoes to find out more about their amazing health benefits. If you begin with organic sweet potatoes and natural bacon, you will have a nutritionally worthwhile family treat or party appetizer. The short story is just wrap the bacon over the sweet potatoes and bake them. 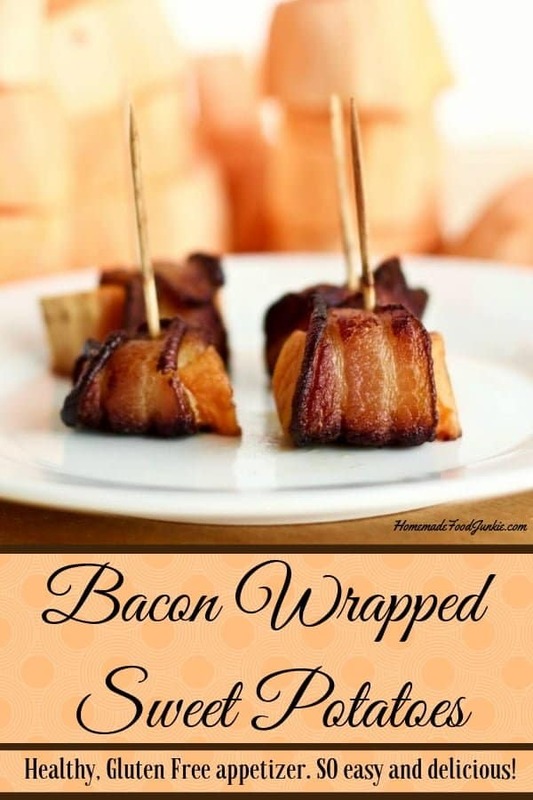 There ARE a few tricks discussed below that make this bacon wrapped appetizer easy to put together. I usually buy naturally smoked thick cut bacon. You can use that. But the extra long thin sliced bacon is much easier to work with in this recipe. MUCH easier. Use Natural Bacon for Bacon Wrapped Sweet Potatoes. use a thin sliced extra long cut to make the wrapping work easily. NOTE: Your hands will get greasy from the bacon and the toothpicks will need to be firmly pressed all the through the sweet potato. I used a wet wash to keep my hands clean and help push the toothpick through the sweet potato occasionally. Organic Sweet Potatoes for Bacon Wrapped Sweet Potatoes. Chop into one half inch cubes or rectangles (look at the video to see how I cut them). Dave and I ate all but four of these yummy treats as a side for dinner (blush). These bite sized pops of flavor go down easy. You may need a double batch for a large group because they fly off the party tray REALLY fast. These gluten free party appetizers are well tested on many football fans. This is an excellent choice for tailgating and Game day. Guys love em. So do gals. And even kids chomp these yummers down and ask for more. Bacon wrapped sweet potatoes may be reheated successfully next day and served at room temperature too for a quick N easy, make ahead appetizer. A tasty gluten free Appetizer perfect for parties, tailgating or game day fun. Sweet potatoes and bacon are SO good together in this easy appetizer. Place on a baking sheet, and bake for 45 minutes or until potatoes are fork tender, turning once. 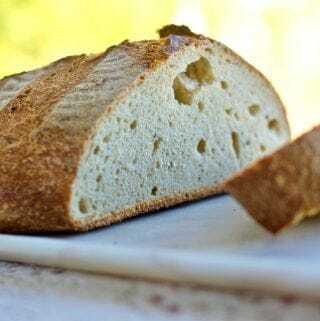 If you enjoy this recipe Please Share it with your friends. 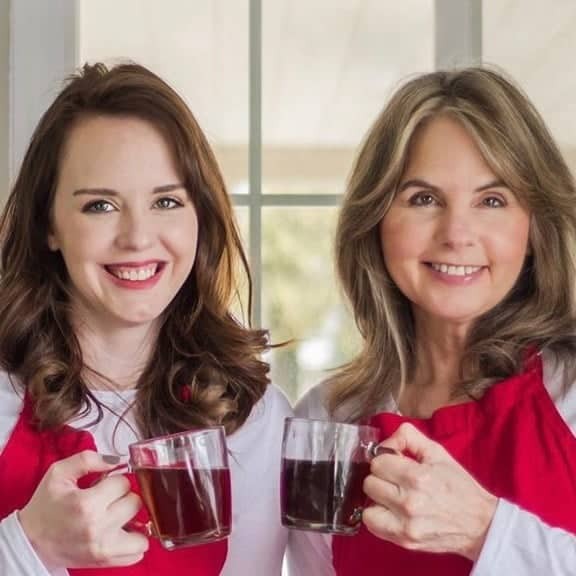 We would love a rating on this recipe and your comments on how it went for you. Thanks! Look for more Game day or Tailgating recipes here. 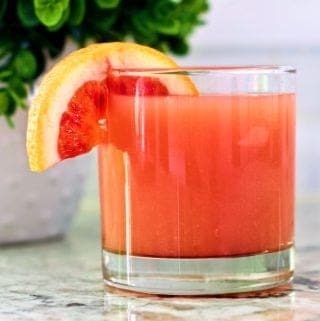 I found this recipe at Pedersons Natural farms.Enjoy! Great idea! I did something similar but this is better as an appetizer! 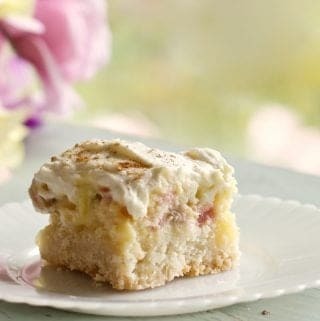 I slice mine flat, lay them on a cookie sheet and stick a small piece of bacon on top. Then I sprinkle with cinnamon. So maybe I’ll try your idea with the cinnamon. Than you for sharing! Hi Rebecca, The Cinnamon is a Brilliant addition! We enjoy these yummy bites on a toothpick as finger food. Now I’ll try the cinnamon too. Thanks so much for sharing that tip. Happy Holidays! These look so good and your pictures are amazing!! Thank you So much! I’ll be happy to link up!